Just across the road from The Palace Theatre and a short walk to the Manchester Academy and the universities, you'll find Zouk, the sumptuous sister branch of the award winning Halal Indian restaurant in Bradford. The brainchild of a unique and dedicated family team. 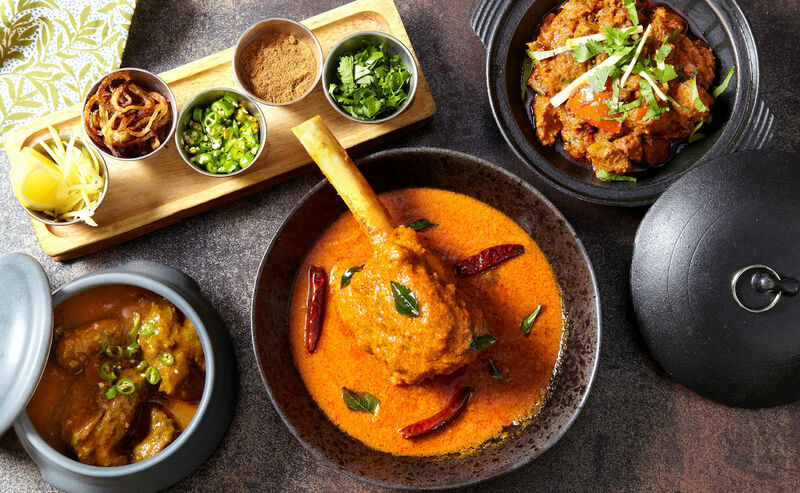 Brothers, Mudassar and Tayub, share a passion for good food and have designed Zouk to offer stylish surroundings with a relaxed and fun atmosphere, but most importantly have created a menu that has revolutionised the British curry industry. 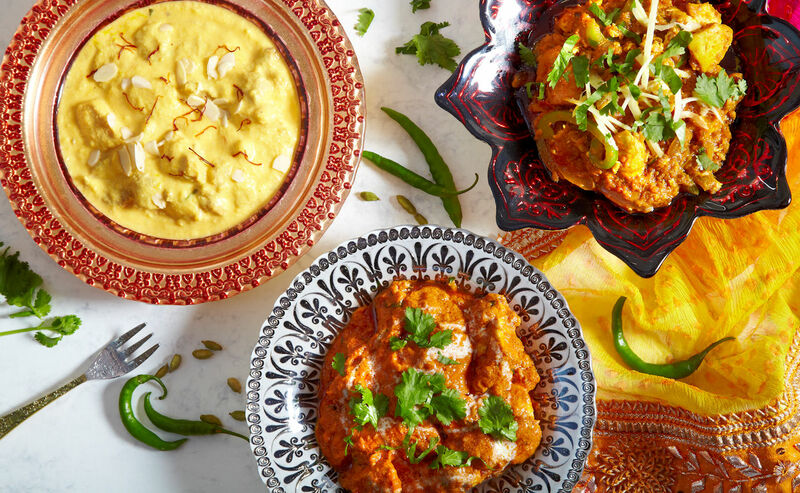 Offering an array of truly authentic Indian and Pakistani dishes there's many healthier alternatives to meet the demands of today's health and nutrition conscious customers. The £1million Manchester restaurant, just off Oxford Road, accommodates up to 240 diners, with a mezzanine and alfresco dinning. 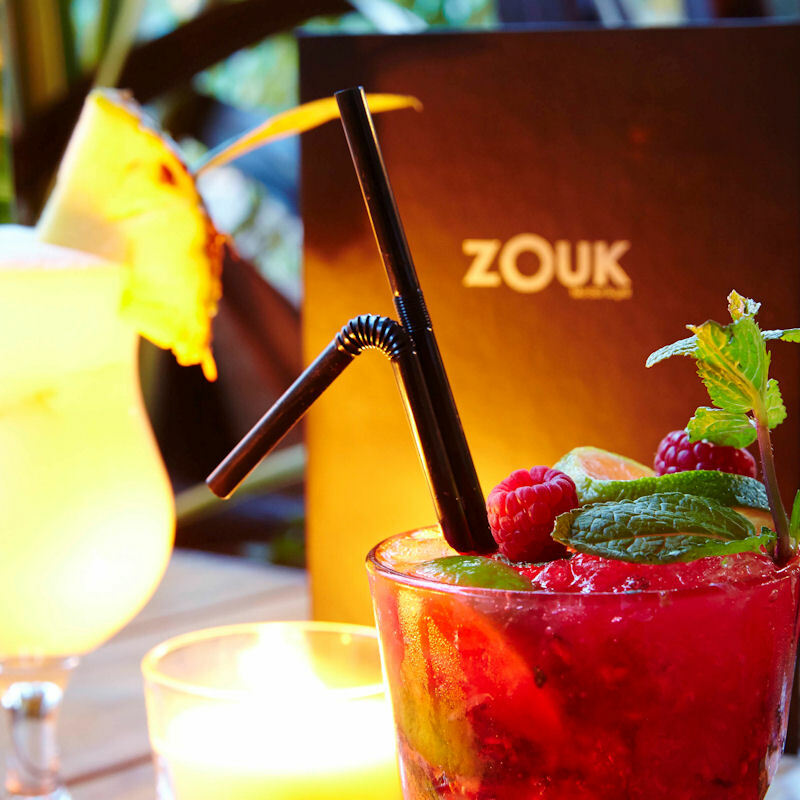 Zouk is a different concept from the average Asian restaurant. They were the first Asian restaurant in Bradford to adopt an open kitchen, so that customers could see what was happening and how hygienic the chefs were, and the Manchester branch continues this idea. 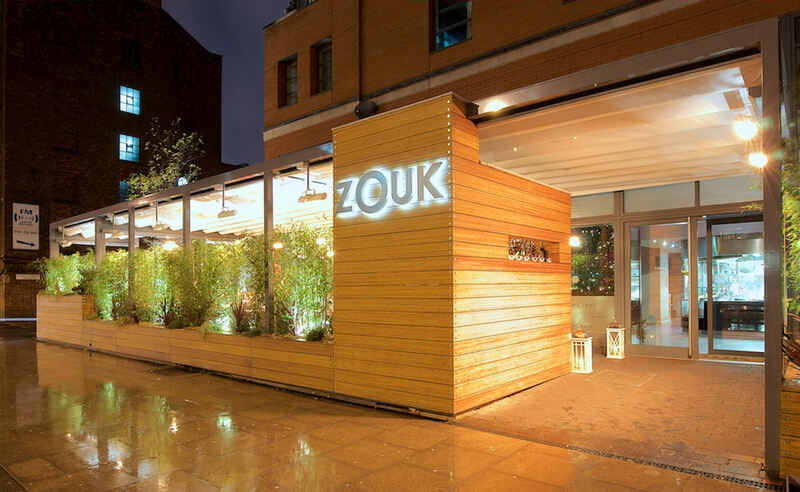 Zouk Manchester boasts an extended menu with dishes such as Whole Roast Leg of Lamb, roasted on embers and served on skewers, a traditional dish from Baluchistan known as Sajji. The top rate chefs at Zouk use only the very freshest Halal ingredients, assuring you get the highest possible quality in authentic Indian cuisine. There are healthy eating options; dishes cooked on a Sigri charcoal grill which helps retain the full flavours of the meat whilst burning off the fat. A wide choice of speciality vegetarian dishes are available and the choice of seafood dishes is unrivalled in any other Asian restaurant in Manchester. Sea Bass, Salmon, Sea Bream, King Prawns and Lobster are all given the Zouk special treatment. From traditional curries, Karahi and Handi dishes to grilled steaks, the menu at Zouk should please everybody. To celebrate their first birthday, Zouk officially opened its much anticipated outdoor space, which offers customers the chance to enjoy al fresco dining and a variety of Egyptian Sheesha. 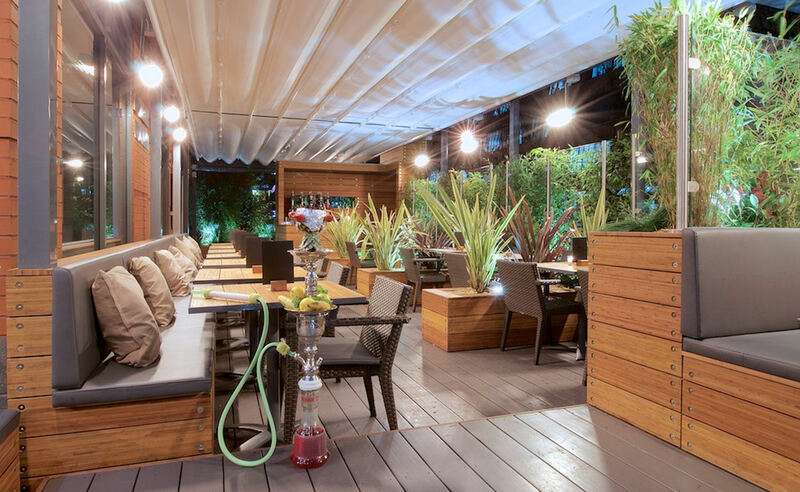 The 'Al Fresco Sheesha Lounge' was redesigned in 2015 and is a secluded oasis of foliage and illuminated planters which provide a warming orange glow, nestled between the plants are heated parasols making a cosy and accessible outdoor area for customers all year round. 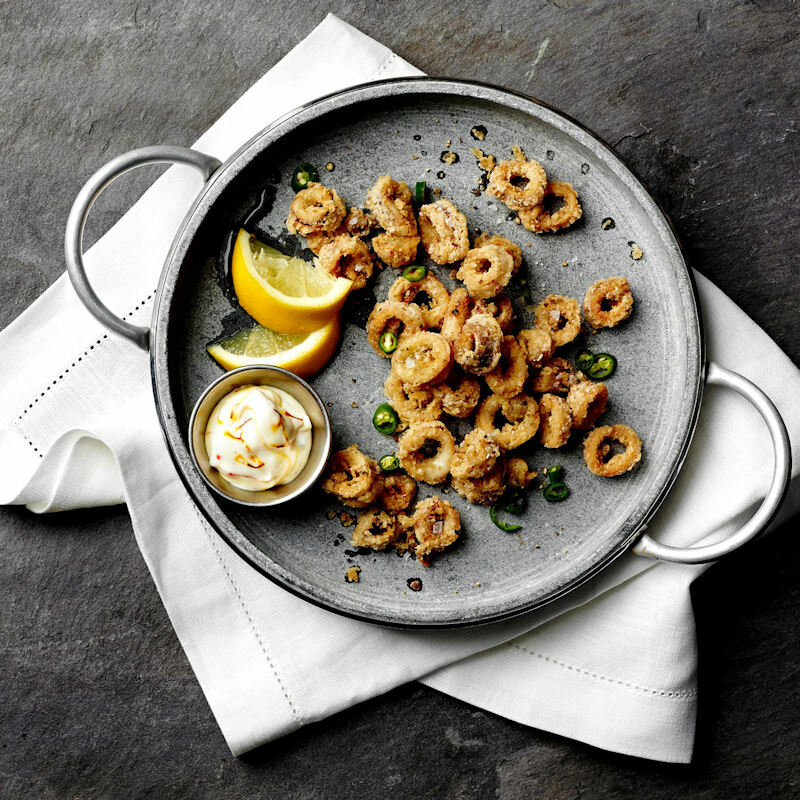 Zouk is perfect for fans of seafood and fantastic grills, curry connoisseurs or those inspired to sample dishes from all across the Indian Sub-Continent. People enjoy Zouk food so much, they’re often asked about how it’s cooked. Ever keen to share their passion for the very best in Indian and Pakistani cuisine. 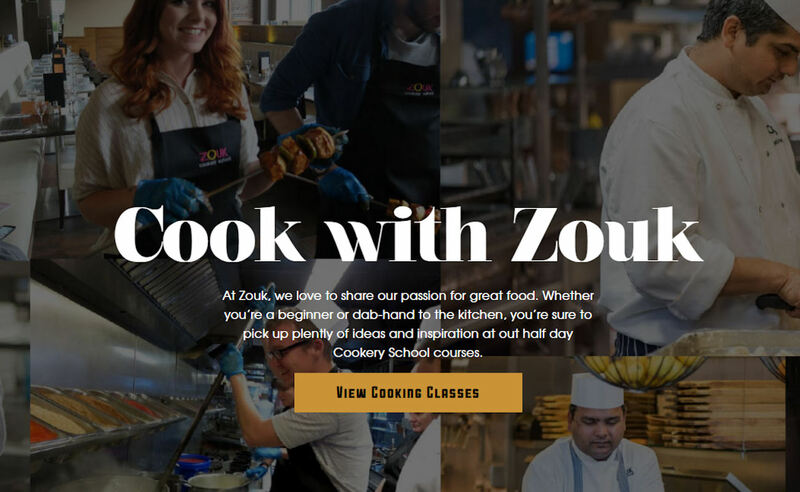 They set up the Zouk Cookery School, where curry lovers can come along and learn a thing or two from their expert chefs. Each course only takes half a day and teaches you to prepare and cook two starters, two main courses a rice side dish and either a naan or roti bread. 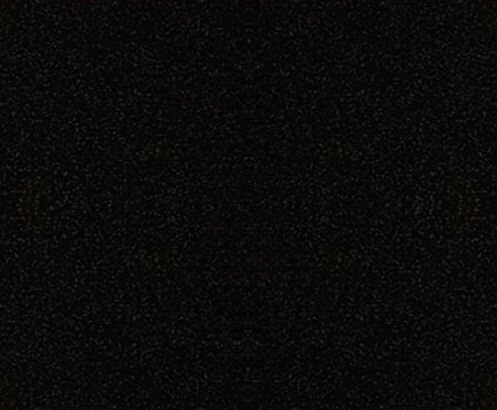 Give them a little notice and we can even include a personal favourite of the day. With vegetarian classes now available, their Cookery School is growing in popularity, attracting students from around the country. 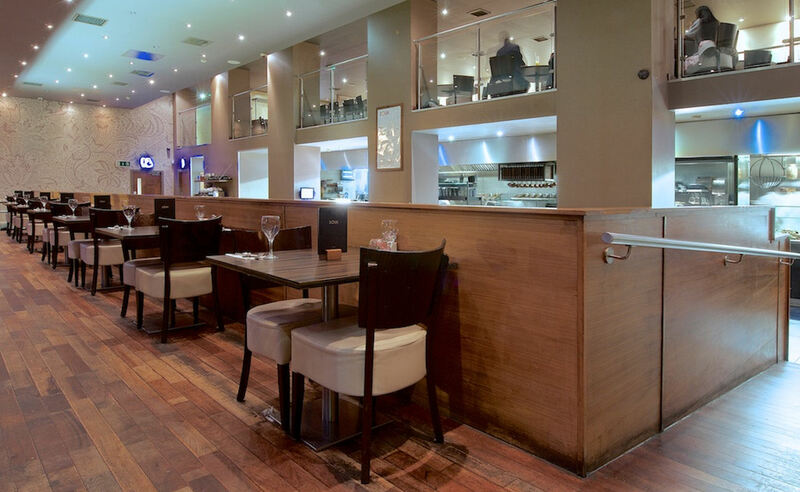 Classes take place at their Indian Restaurant in Manchester and begin at 10 am and finish around 1.30pm. In Celebration of Earth Day 2019, Zouk are adding a very special dish to their menu The ‘Beyond Burger’. 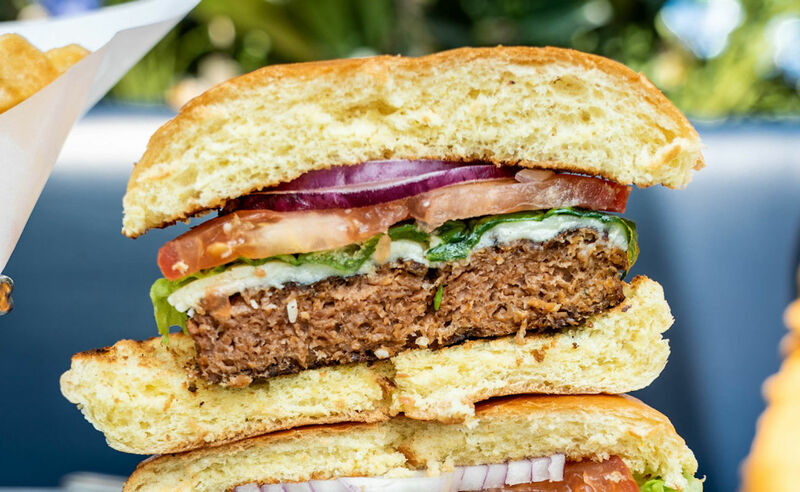 The ‘Beyond Burger’ is the world’s first completely vegan burger that looks, cooks and tastes like the real thing. Beyond Meat is an innovative company with investors including Bill Gates, Richard Branson and Leonardo DiCaprio. 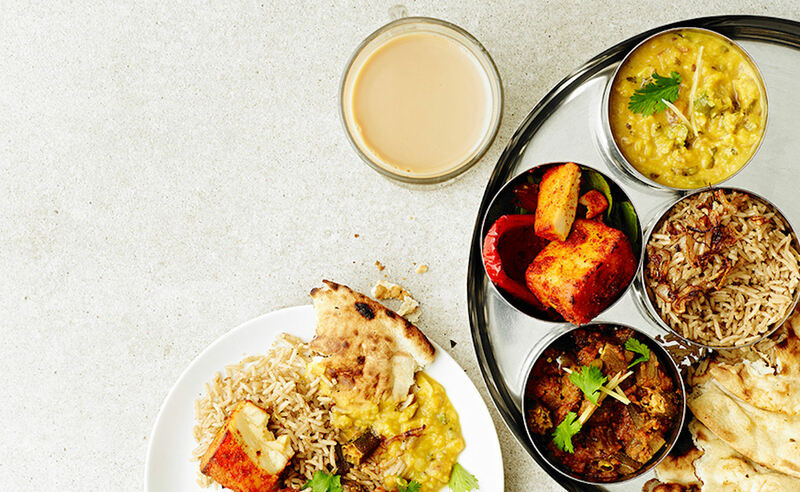 Enjoy Indian twists on classic Brunch dishes such as Bollywood Eggs Benedict with a Tikka-spiced hollandaise sauce, the Maharaja’s Breakfast - an Asian take on the full English fry-up with Seekh Kebabs and Turkey Rashers. Also included are Sweet treats such as freshly baked Peshwari Naan with Fruit chaat, Sweet honey and natural yoghurt; Creamy Semolina Halwa cooked with flaked almonds, pistachios and raisins and infused with saffron. 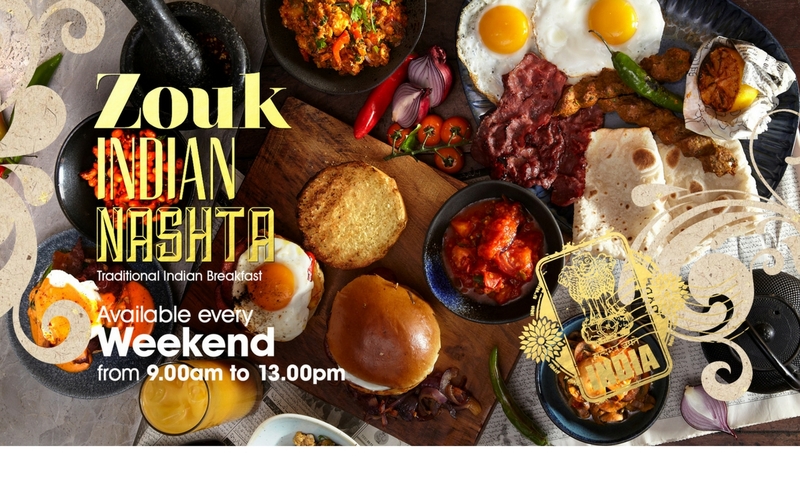 In addition to the fantastic Nashta Menu, serving desi classics and brunch staples with an Indian Twist, Zouk are now serving a moreish mezze breakfast! You will be served fried eggs, traditional Kulcha Bread, spiced mushrooms, spiced potatoes, and spiced baked beans, with a hot drink or glass of fruit juice. 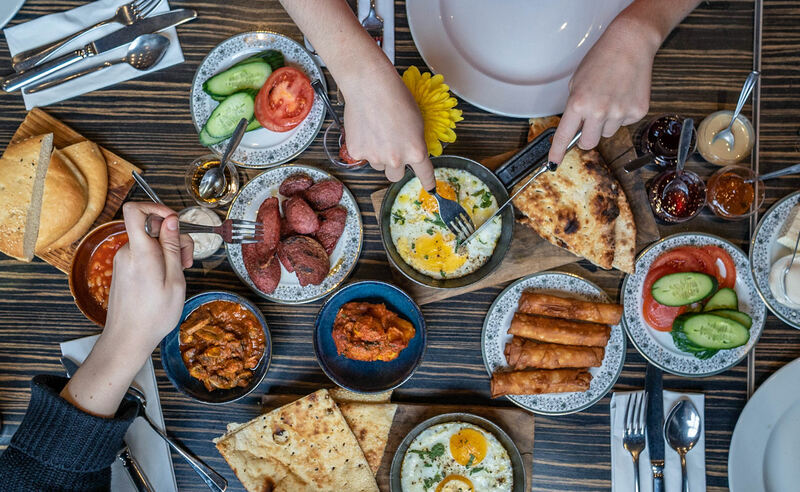 Tailor your mezze by adding five of the following dishes: a selection of cheeses, selection of jams, Halloumi, olives, Sujuk (beef sausage), cream & honey, Molasses & Tahini, cheese filled pastries, and Hash Browns. Take advantage this fabulous pre theatre offer with some classic Indian and Zouk signature dishes. Enjoy 2 courses for £15.95 and 3 courses for £19.95 served with complimentary popadoms and pickles. Zouk's answer to the Aromatic Duck, this comes highly recommended and is a unique starter to share. 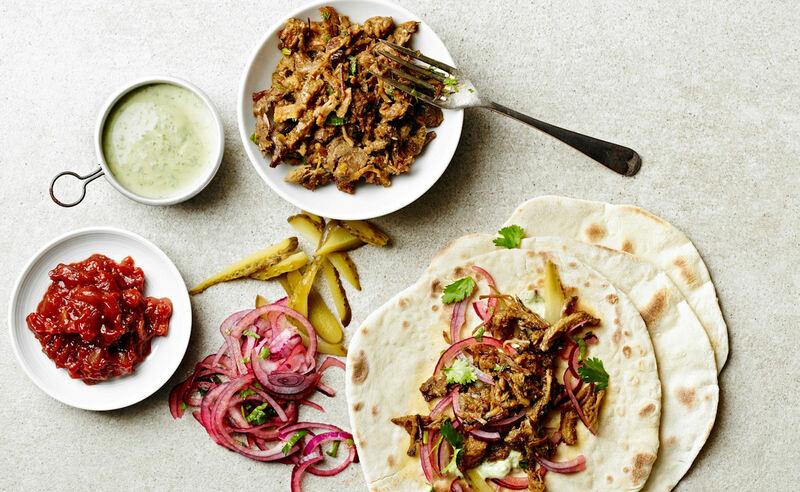 A sizzling crispy lamb served with pickles, chutney and pancakes... wrap, eat, share! Enjoy a healthy lunch at Zouk with the Tiffin Grill. Choose from a chicken tikka, lamb chilo, paneer tikka or vegetable skewers which are marinated in Zouk's special sauce and char-grilled over hot coals. Served with salad, humous and naan bread. Fancy a roast with a twist, head down to Zouk and try the new Roast Menu. 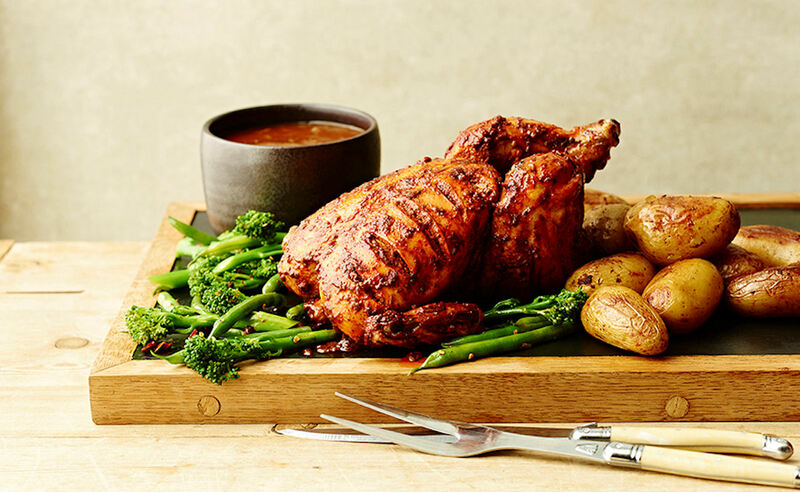 Choose from, Roasted Chicken* £15.95 or Leg of Lamb** £40 - both are slowly cooked over hot flames and served with roast potatoes, seasonal vegetables & spicy gravy. If you fancy something extra special why not go for the Whole Stuffed Lamb*** (Market Price per kilo) - Made in traditional Baluchi style and stuffed with seasoned rice. Served with roast potatoes, seasonal vegetables & spicy gravy.